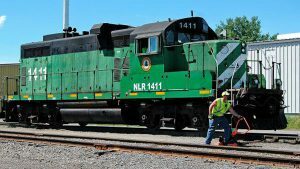 A Midwest short line operator will see grade crossings upgraded, per plans by a state transportation office. 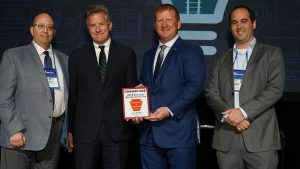 Northern Lines Railway was honored for its outstanding safety record with a 2018 Jake With Distinction Award by the American Short Line & Regional Railroad Association. 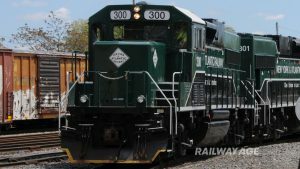 One short line railroad operating in the world’s biggest city is showing how rail can be a good transportation option, and a good neighbor. 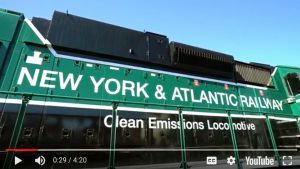 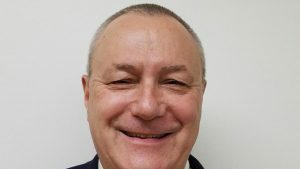 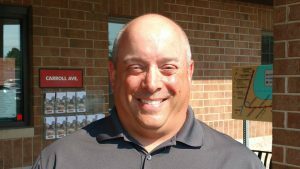 New York & Atlantic Railway is promoting Charles Samul to director of sales and marketing, effective Sept 1. 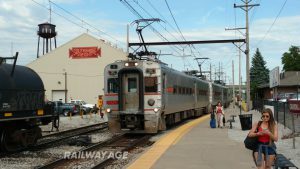 An agreement on a project to improve commuter rail service on an historic route between Indiana and Chicago will have a follow-on economic benefit for a short line freight carrier, too. 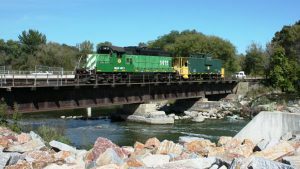 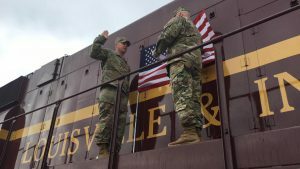 A recent ceremony involving the Louisville & Indiana Railroad and an online U.S. military base shipper gives new meaning to the term “troop train”. 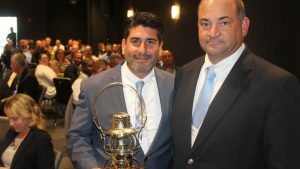 Eric Flores, trainmaster at Pacific Harbor Line, received the 2018 “Ones to Watch Award” given by the American Association of Railroad Superintendents.